I just returned from a bike trip from Incheon to Busan last week. It was fabulous. It was easy to navigate, beautiful and a fantastic week spent in Korea with a couple of friends. Over the next week, I am going to blog about the daily logistics of my trip in hopes that you can learn a little and start planning your own adventure. 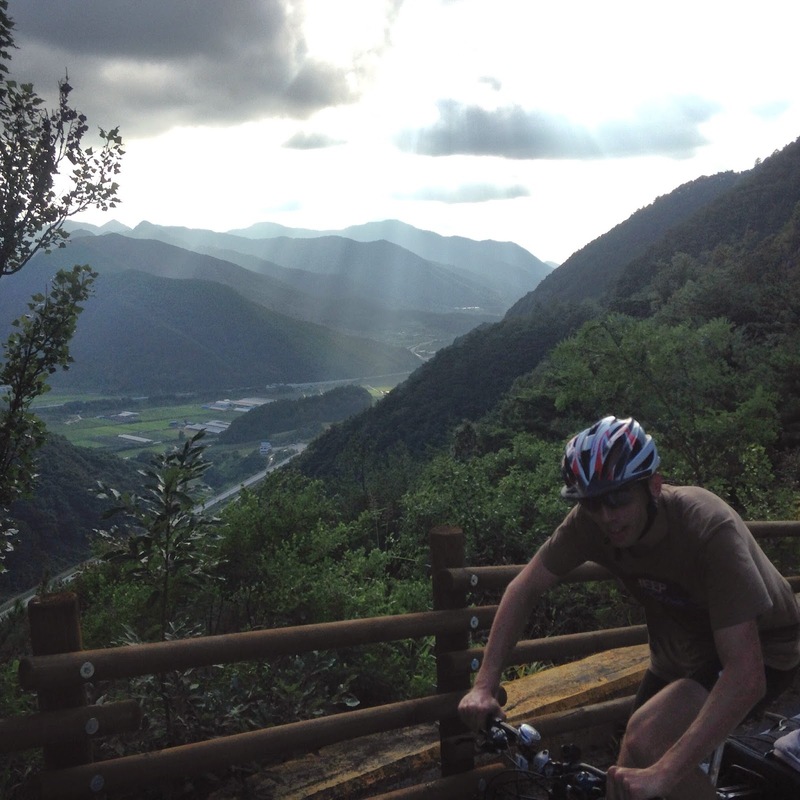 I also recommend checking out BikeToursDirect for guided bike tours in Korea. After a long sleep, we woke up to our first blue sky of the trip. We received word that circumstances that could end our trip early had improved, so we could keep cycling. This was lucky for us because day 3 was one of the most beautiful of the entire trip. We quickly and giddily pedaled into Chungju along some lovely river path and arrived at the certification center before 9AM thrilled with the beginning of our day. From there we met up with the Saejae Bike Path and headed into some of the most rustic parts of the trail. Outside of Chungju there is still some bike path construction going on. Once through that, you cycle along beautiful, desolate roads past rice fields, up mountains and through spa towns. We felt that this section could be the best part of the journey, even with some bike malfunctions. The path from Angseong to Chungju was surprisingly lovely. Bike Path: For most of this stretch you are on the roads. But do not to fear. Most roads are empty and the motorists we encountered seemed very aware of cyclists. 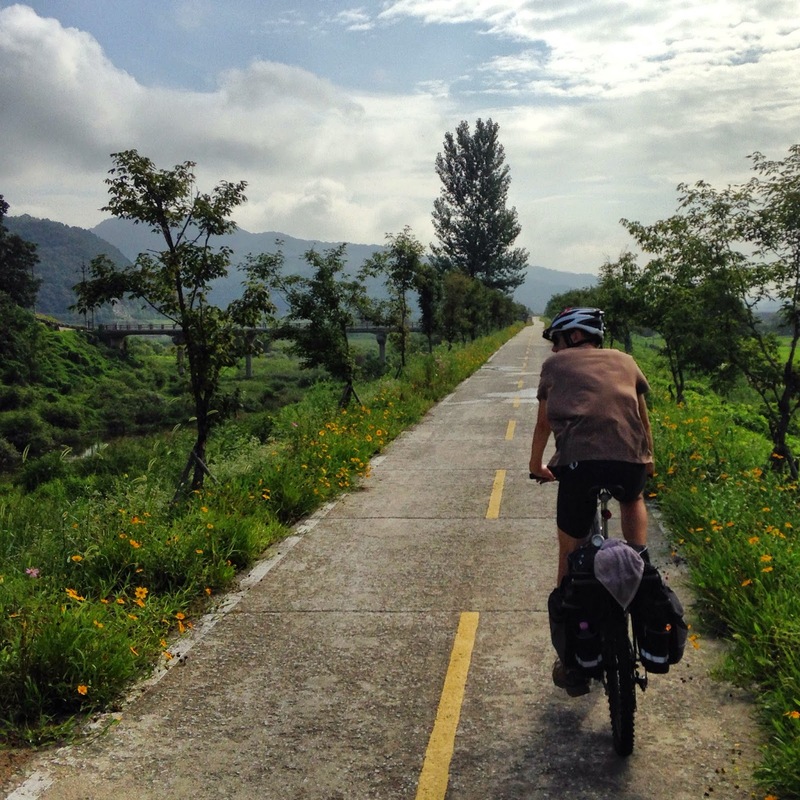 The towns you cycle through: Chungju, Suanbo, Mungyeong are all worthy towns to stop in and spend some time. You will also encounter your biggest, but most rewarding climb in Ihwaryeong (이화령) a 5km climb. The ride down was exhilarating and the ice cream at the top is well worth the effort. What goes up, must go down. Look forward to your ride on Ihwaryeong. Beer or ice cream at the top! Screaming descent after. 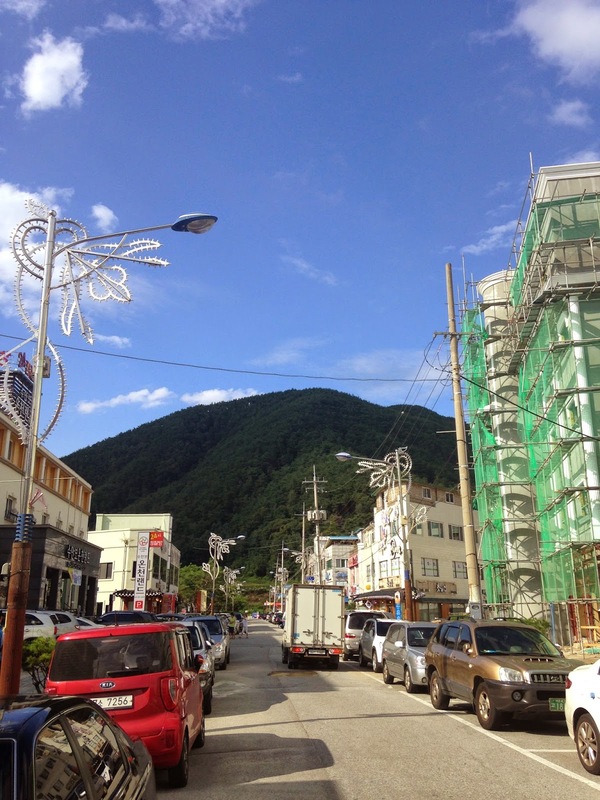 Highlights: The path is fantastic(once past Chungju), the towns are friendly and there are plenty of places to stop. We spent a lot of time in Suanbo around lunchtime. I ate a delicious bowl of bibimbap, had a nice coffee at one of the resort hotels and soaked my feet in public hot spring in the town square. Need I say more? Suanbo is a tiny spa town with a public hot spring in the middle of town. Stop here for food, coffee and a foot soak. 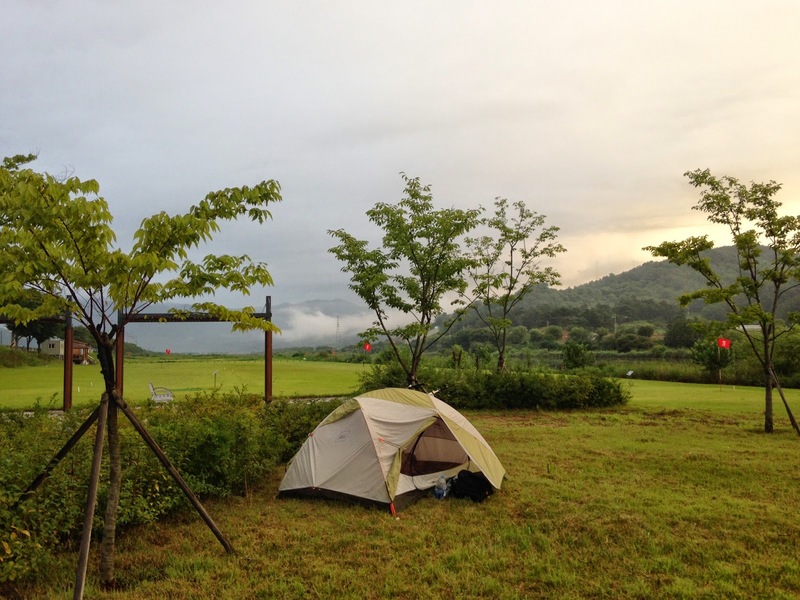 Sleeping: We camped along the river between the Munagyeong Buljeong Station Certification Center and Sangpung Bridge Certification Center. Our tent was just off a public golf course. The golfers seemed unfazed by our tent and even greeted us with smiles at 6:30 in the morning. Again, camping was a breeze. Found a nice spot along the river, next to a golf course. -We had some bike issues we weren’t equipped for and found ourselves spending lots of time in Suanbo trying to find a bike mechanic. He was out of town, but the motorcycle mechanic gave us a hand. There are two tourist information booths in Suanbo that will point you in the right direction. One of the workers even helped us with translation. Try to work out issues in Chungju in case the Suanbo mechanic isn’t there. Also, there weren’t any obvious shops until we got to Gumi way down the path. -After coming down from Ihwaryeong you’ll come into the first part of Mungyeong and there will be plenty of hotels and restaurants. If we had not planned on camping this night, this would have been a nice stop. There was also an outdoor climbing wall here.